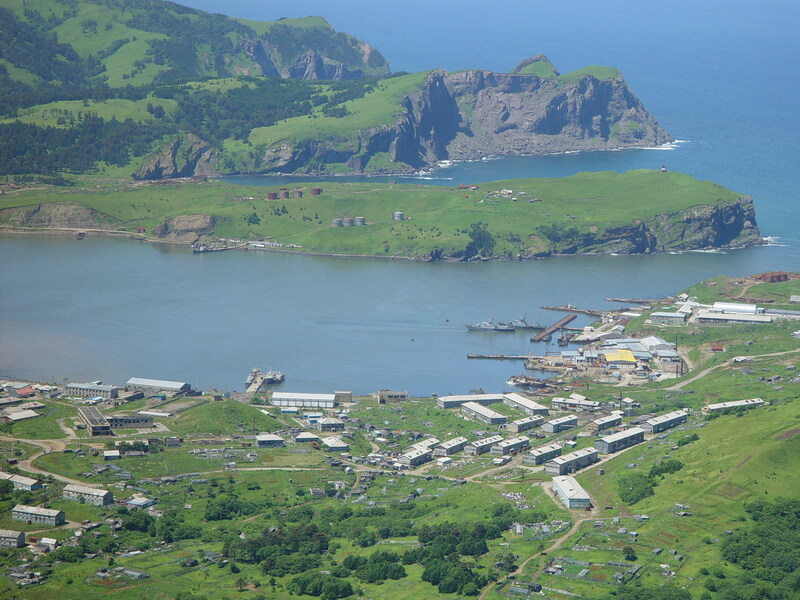 Japan should not expect Russia to return the southern Kuril Islands to Japan – – instead, Japan should sign the long-overdue Peace Treaty with Russia now !! Japan and Russia have never signed a Peace Treaty after World War II, due to the Southern Kuril Islands dispute (a.k.a. the “Northern Territories” as claimed by Japan). 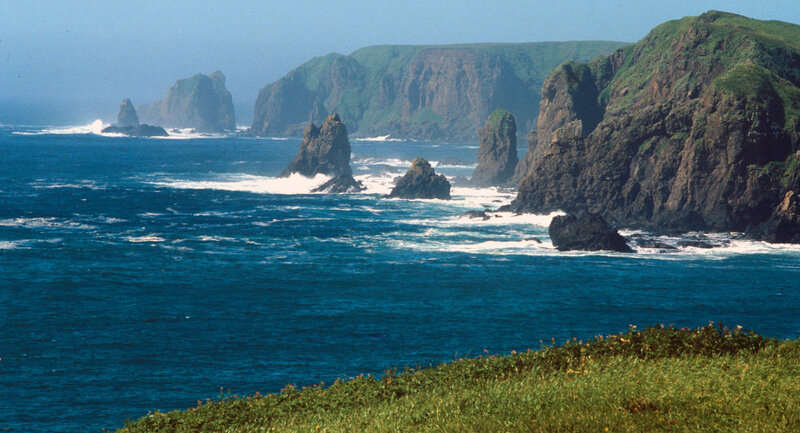 In my opinion, Russia will never return the Southern Kuril Islands to Japan. It shouldn’t have to. It is a mistake for Japan to expect Russia to return them to Japan. Japan should accept it (since it lost the War) and, instead, sign the long-overdue Peaty Treaty with Russia. Japan claims sovereignty over the islands, calling them the “Northern Territories”. 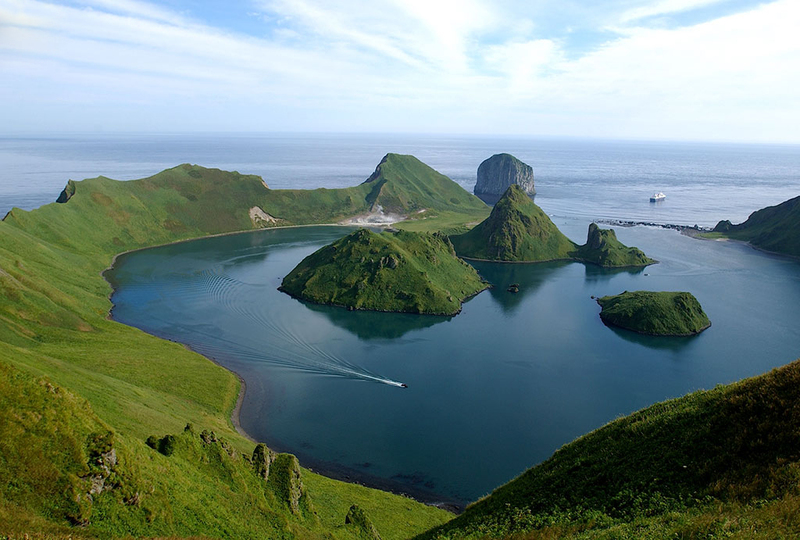 Tamara Chikova, a professor at the Sakhalin State University believes that a transfer of Shikotan and the Habomai archipelago (an offer made by different Russian governments in the past) would trigger strong protests. “The logic of the nationalistic groups is that Russia should not return land seized from a country that allied itself with Nazi Germany,” she says. (I totally agree with her). “Would Russia return Kaliningrad to the Germans,” she asks rhetorically. Putin will never allow it. But Japan will also definitely benefit from the economic opportunities in the region. But in my opinion, there shouldn’t have to be any compromise. Japan should not expect Russia to return those territories which now belong to Russia. Period. 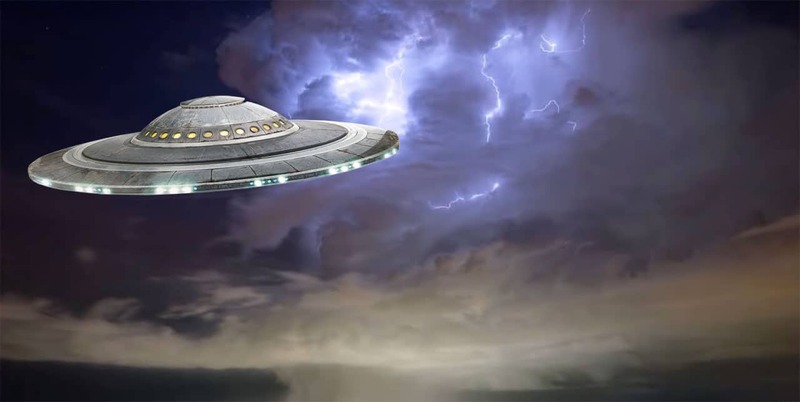 Why are reported UFO sightings on the decline? An article in GIZMODO today focused on the question of why UFO sightings (reported to NUFORC and MUFON – the major U.S. organizations who record these claims) are in decline since 2012 – a 30 to 40 percent drop from 2012 to 2017. 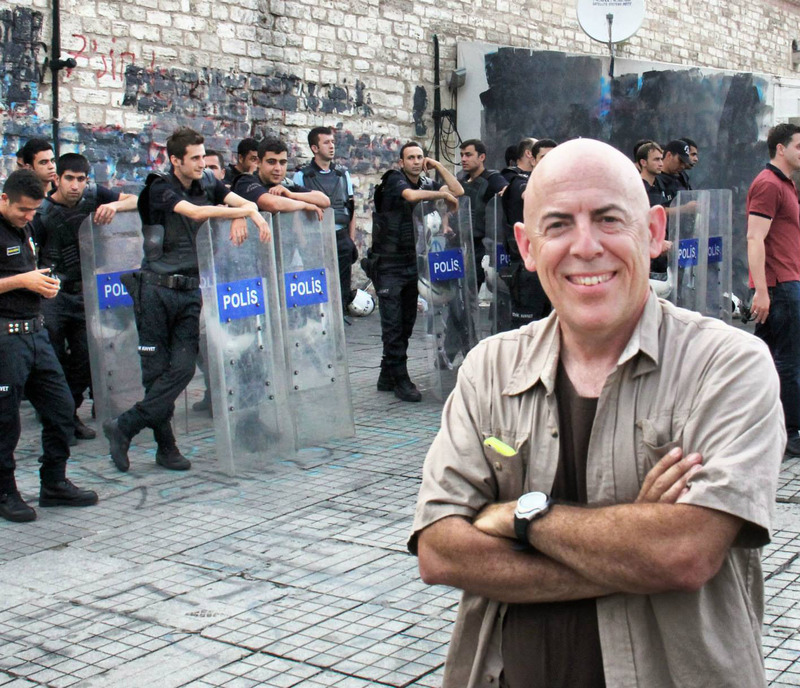 When Jennings Brown, the journalist, contacted me Friday to talk about it, a few things came to mind. In contrast to the opinion of one leader in the UFO community quoted in the piece, I refuse to cop out with an untested, unsupported sci-fi-inspired answer to this trend. I suspect the real answer is social and far more complicated than we can easily tease out. The UFO organizations admit the decline. The trend is surprising because UFOs remain in the news and popular in media products. Reports of encounters with weird things tend to increase when the weird things get initial publicity. More people are carrying digital cameras and video recorders at all times – the technology should enable us to get better evidence that strange things occur as described. But this hasn’t happened. The same argument can be made for any paranormal claim – ghosts, poltergeists, Bigfoot, lake beasts, various Fortean odd events, etc. This particular angle is a bit different. Even if you are driving along a road, glancing out the window late at night, or not a smartphone user (lots of older people are not), it appears that when you see a weird thing in the sky, you aren’t calling the self-named experts to report it as important. Why might that be? People aren’t seeing UFOs. Do people not see lights in the sky because we are not looking up, not outside at all, or the light pollution is too bad? People assume it’s not a UFO or not worthy of talking about. They brush it off because they assume it’s nothing special or they can’t substantiate their claim with a picture or video. There may still be a stigma or it’s not worth the hassle to report. The report never makes it to the organization for other reasons. Witnesses don’t know of or don’t trust the organization enough to report it. 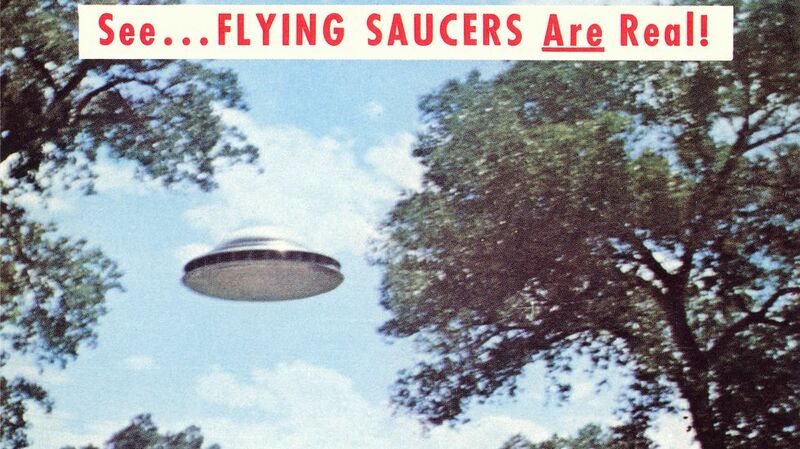 UFO organizations have not exactly established themselves as credible outlets for research. Perhaps citizens don’t even want to call up their local police or the police don’t pass on the report. I’m not a participant in UFO insider discussion circles, however, I can imagine a few social aspects that may be at play for this decline of reports based on social trends. As I told GIZMODO – this is a culture of “pictures or it didn’t happen”. I had a few experiences of my own where I didn’t pull out my camera because I was too busy staring at the perceived anomaly trying to figure out what it was. Suddenly, it was too late to snap off a shot. Perhaps people don’t want to face the inevitable question of “why didn’t you take a video?” Regardless, no point and shoot handheld camera is going to capture a clear, definitive record of a light in the sky. It’s not going to do justice to a black triangle or a speeding trail. UFOs as described today are not conducive to easy documentation. They aren’t a metallic ship hovering in the backyard like the decades past. Consider the much-hyped UFOs of the past few years looked more like fast-moving insects (which they actually seemed to be), flares, or “tic-tacs” (of the TO THE STARS ACADEMY publicity releases). The skies are busier than ever before with planes, helicopters, promotional lighting effects, flying paper lanterns, scientific measuring devices, fireworks, and drones. I’ve had what I’m fairly certain was a drone encounter myself at night. It was really weird. At first. What if most people just assume that the weird thing they see is a military test craft, drone, or new-fangled flying device instead of an alien craft? Or, what if they think there is no point in reporting it because no one will listen or the government is covering things up and hiding the truth? What if they think they are being pranked or spied upon? There’s no data on this. Jan Harzon does MUFON no favors (though it’s already in the crapper on his watch with incidents of blatant racism and infighting) by saying that you can’t catch UFOs on camera because “UFOs are basically manipulating space-time. And when they do that, it requires a high electromagnetic field. That distorts the images.” Coming from a group that proclaims themselves as scientific, this is absurd, but not surprising because they have regularly been ridiculous. The leadership at MUFON is not scientific but way off into the fringes of reality. The disconnect is stark between their agenda to legitimize conspiratorial thinking, coverups and paranormal concepts to explain UFOs and that of their investigator who interviews the witness by the book to ask what she saw in the sky. MUFON seems intent on marching headlong into the paranormal dark corners. Science has failed them – there is no better evidence for UFOs as alien craft (from outside our space or dimension) than there was decades ago. So, they slip down the supernatural slope in order to retain their belief, invoking ideas that sound marvelous but can’t be tested. They promote a scary agenda of distrust and lies instead of one of inquiry and rigor. I wouldn’t call them if I think I saw a UFO either! I would like to see a group seriously investigate witness reports without the warped agenda that MUFON has. It’s been demonstrated repeatedly that crowdsourcing of “baffling” cases can be solved in hours by those who know something about physics, aircraft design and technology, and how to look up the right stuff on Google. It’s not that difficult. I don’t know enough about this sliver of our pop culture to expound more. But it’s interesting to think about. Are UFOs on the decline in the public consciousness? How are the ideas changing? Has the concept of alien visitation (with belief at 26% of the population) been diffused by the internet and media so that people no longer need to report it to an organization? Or are these paranormal concepts coalescing and moving away from the purview of authorities altogether? Chime in if you know some other influencing factors. Bad times are coming to Planet Earth, but the worst threats are probably not what you think. If you are worried about climate change, rising sea levels, drug-resistant disease, nuclear war, cybercrime, natural disasters, killer asteroids, the rise of would-be dictators and the decline of global democracy, you better make space in your nightmares for a whole different class of disasters that could arrive sooner and cause more damage. These disasters are demographic, meaning they have arisen from changes in human populations over the past half-century. The most obvious demographic changes since the 1960s have been the fall in birth rates in most countries and the aging of their populations. In nearly all industrial countries, there are far fewer children than there once were and many more old people. These changes have crept up on us slowly and may seem benign, but they can be just as devastating in their own way as rising sea levels. 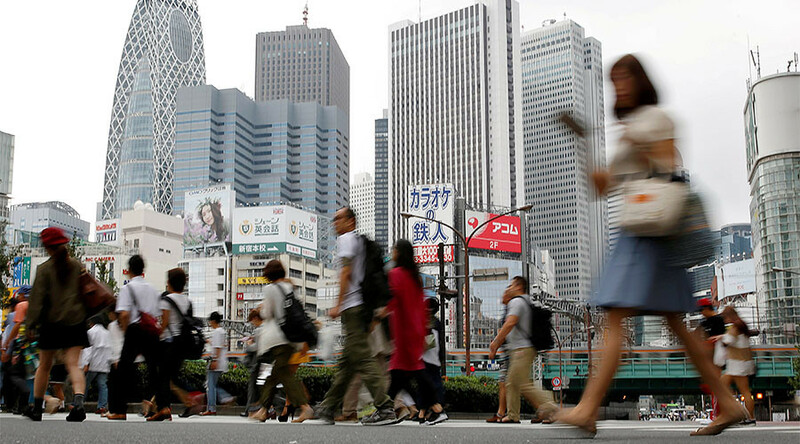 JAPAN TO HIRE MORE FOREIGN WORKERS AMID SERIOUS LABOR SHORTAGE. Japan announced Friday plans to ease immigration restrictions and bring in more foreign workers to tackle a serious labor shortage caused by the country’s ageing, shrinking population. How theoretical physicists can help find ETs – – but are they even biological beings? If and when humans discover extraterrestrial intelligence, should we expect to find it in the form of biological brains or artificially intelligent robots? Could it be something in between biological and technological or something else so out of this world that humans have yet to even fathom it? When searching for E.T., scientists tend to look for signs of life with certain similarities to life on Earth. But abiding by that narrow definition of life could be the reason we still haven’t found any aliens. Are we truly alone in the universe, or do we simply have no idea what we’re looking for? Scientists may have better luck finding aliens if they can come up with a definition of life that isn’t so “Earth-centric,” some researchers have said. 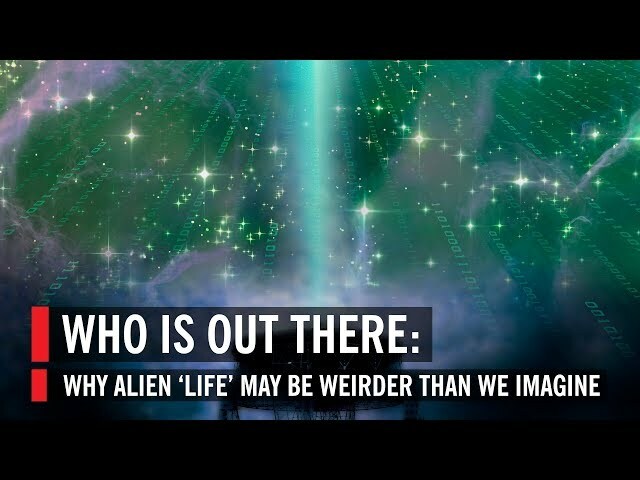 In other words, scientists need to broaden the scope of the search to account for the possibility that extraterrestrial life may have nothing in common with life on Earth. Biologists and chemists may have a hard time wrapping their heads around a more universal definition of life, because everything they know about life is based on observations of Earth. Theoretical physicists, however, may have a better approach. “When I think about looking for life, I’m not really thinking about looking for cells on a planet or molecules in an atmosphere. I think about looking for an entirely new sector of physics,” Sara Walker, an astrobiologist and theoretical physicist at Arizona State University, said during a panel discussion at the World Science Festival in New York City. During the panel, she and a group of extraterrestrial experts pondered the possibilities of life beyond Earth and the very nature of life itself. Characterizing life using physics instead of biology or chemistry “seems like an unusual way of thinking about it,” she said, “but we have some really amazing mathematical theories of the world — we have quantum mechanics and general relativity and these amazing revolutions in our understanding of the natural world — and we don’t have any theories that explain the existence of life or the properties of life.” But theoretical physicists could develop those, she added. In current projects in the search for life on other worlds, biologists and chemists can tell astronomers to look for “biosignatures,” or chemicals that may hint at the presence of life, like oxygen and methane. But the only biosignatures we know to look for are chemicals like those produced by organisms on Earth. What if aliens don’t have the same biosignatures as Earthlings? Or what if they don’t produce any biosignatures at all, because they aren’t biological beings? In addition to those biosignatures, “technosignatures” like radio signals could also help us find intelligent aliens. But Walker suggests that theoretical physicists could discover new kinds signatures to look for. NASA’s Astrobiology Institute currently defines life as “a self-sustaining chemical system capable of Darwinian evolution.” But that definition holds true only for the kind of biological life we see on Earth, and it precludes what Walker and other scientists consider to be other forms of life, like artificial intelligence (AI). “One of the problems that we often encounter is assuming that life is a chemical phenomenon,” Walker said. “I think there’s a confusion between the scale at which life emerges — which is probably chemical — and the definition of life, which is likely not related to chemistry and could apply to AI,” she added. “We think of life as this chemical phenomenon and a cell as the fundamental unit for life … but that may be too narrow a view,” Walker said. “If you do have this kind of expanded view and are really looking for more-fundamental basic processes of life, it really opens your horizons for things that you might look for,” she said. Fellow panelist Susan Schneider, a philosopher with the AI, Mind and Society Group at the University of Connecticut, also said that NASA’s definition of life is too narrow. “What if AI is self-sustaining and has all sorts of intriguing properties, but the instance that we have is created by intelligent design — that is, we are the designers, we make the AI systems — and it doesn’t evolve in a Darwinian fashion?” By NASA’s definition, AI wouldn’t qualify as a form of life. However, when searching for extraterrestrial intelligence, shouldn’t researchers be willing and able to recognize the artificial version of life as well? WHY LOOK FOR ARTIFICIALLY INTELLIGENT ET? Scientists and science-fiction authors have long entertained the idea that artificial intelligence created by humans will ultimately outlive us, while some go so far as to say that AI robots will someday be capable of taking over the world. “It may be the case that our own planet will evolve sufficient technology that we either integrate with artificial systems, or we are superceded by artificial systems, and they become our progeny in the long-term future,” Walker said. “But how likely that is on other planets is a subject of intense debate.” If that process is typical for technologically advanced life and not just an anomaly taking place on Earth, then “it seems to be the case that if we encounter intelligent civilizations, they’re more likely to be artificial that not,” she said. Whether a nuclear war, climate change or a huge asteroid renders our planet uninhabitable — or even if we manage to defy the odds and survive until our dying sun swells up and engulfs the Earth, frying everything on it to death in a few billion years — sooner or later, humans will no longer be able to survive on this planet, Lisa Kaltenegger, an astronomer at Cornell University in New York, said during the panel. In the grand scheme of things — the expanse of our 13.8 billion-year-old universe — AI robots could be more common than biological aliens, assuming that other intelligent lifeforms tend to create and use AI in the same way that humans do and could do in the future, Walker said. Planet Earth is about 4.5 billion years old. Our ancestors became an intelligent species only sometime between 60,000 and 100,000 years ago, and we just recently started developing AI technology, in the mid-20th century. Assuming that aliens who are at least as intelligent and technologically advanced as humans would develop their own AI, there may be more robotic AI progeny out there than their mortal, biological inventors, Walker said. And because alien civilizations could potentially be billions of years older than Earth, they could be so advanced that we can’t even begin to imagine what they might look like, she said. They could be human-AI hybrids like cyborgs, or they might even be entirely artificial lifeforms created by a biological species that no longer exists. Are we the only intelligent life in the universe? Whether it’s “little green men” on another planet or a colony of artificially intelligent robots on an interstellar spaceship, any system that processes information about its surroundings and uses that information to survive and thrive could qualify as a form of life, Walker told Space.com. v”I think people want to make this distinction between biological and artificial, but in my mind, they’re all information-processing systems, and they represent the same kind of physics,” she said. The kind of information in “living” systems that interests theoretical physicists like Walker concerns “the process whereby biological systems seem to acquire knowledge or information about their world and use that to do things that are really interesting and [that] make them very bizarre kinds of physical systems,” Walker said. This approach breaks down life to such a fundamental level that it goes beyond what the life sciences can explain, she said. Physicists, however, can take a stab at the problem using mathematical models to describe such systems differently using network theory. “When I think about looking for life, I think about what are the mathematical structures that we use to describe life on Earth that we should be thinking about” using to look for life on other planets, Walker said in the panel. “If you look at systems like the chemistry happening in your cells or the structure of the internet or the structure of Facebook [connections], there’s a lot of regularities in the in the way those networks are structured, and a lot of that has to do with the way information is structuring those systems,” Walker said. While members of a social network like Facebook don’t physically interact with one another, they do interact “through information technology or some kind of information exchange,” she said. Those interactions can be mapped mathematically, and researchers can use statistics to learn more about how the individuals in that network function as a whole. While she acknowledged that the findings from these preliminary studies have yet to concretely confirm that this is “a system-level property of atmospheres of inhabited planets,” she said that this idea “gives us a better window into thinking about biological systems at a planetary scale. “How can we actually use that as a biosignature that’s not just dependent on the particular molecules participating in those networks, but actually the system-level organization?” Walker asked. This is where theoretical physicists have their work cut out for them. Using network theory, theoretical physicists can broaden the criteria for the search for life so that any kind of organized and seemingly unnatural system would be recognized as a form of life, Walker said. For alien civilizations that have been around much longer than humans, that hierarchy could advance to the point that very advanced kinds of life “could look entirely different than anything that we could anticipate right now,” Walker said. If scientists are able to understand life at the most fundamental level, we’ll have a better chance of recognizing the most bizarre forms of life, even if we have no idea what we’re looking for.